Pack of 6 Each TRUEplus Glucose Shot bottle contains 15 grams of glucose; this lets you take exactly what is needed to help raise your blood glucose levels. 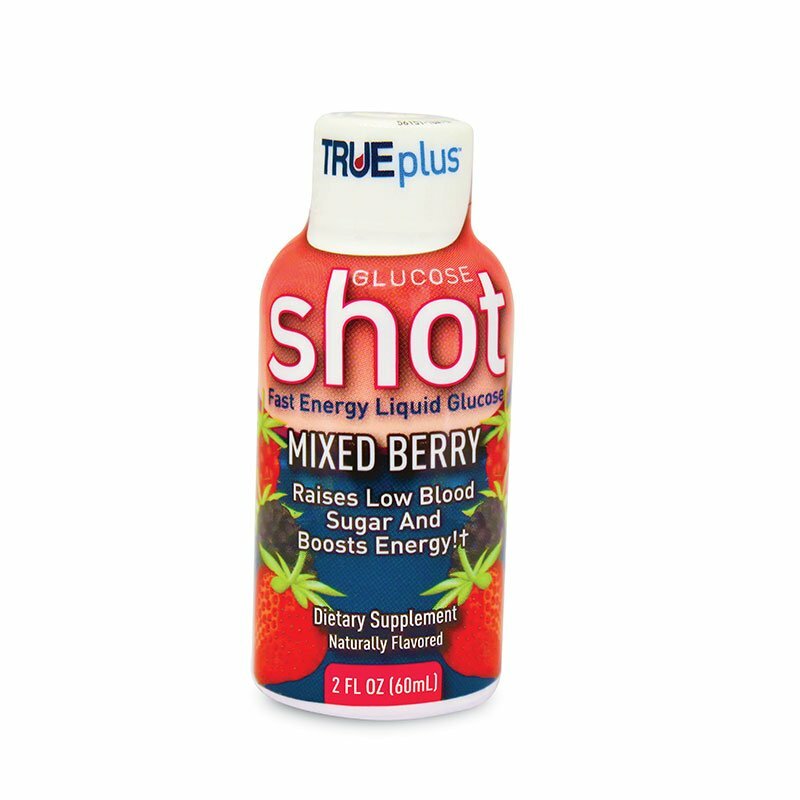 TRUEplus Glucose Shot bottles are available in 3 popular flavors: Orange, Lemon-Lime and Mixed Berry. Each TRUEplus™ Glucose Shot bottle contains 15 grams of glucose; this lets you take exactly what is needed to help raise your blood glucose levels. TRUEplus™ Glucose Shot bottles are available in 3 popular flavors: Orange, Lemon-Lime and Mixed Berry. Type 1 over 57 years. Best, fastest acting glucose, and convieniant to use. Lows are a fact of our lives. This handles it. I have tried many types of products for controlling hypos and have found the TRUEplus glucose shots to be the best and at a fair price here on ADW. Nothing to have to try to tear or cut open, just unscrew and drink. Pleasant taste and the AutoShip feature helps a lot too. These work great for lows and ADW has the best price on the internet. And I always buy enough to qualify for free shipping. Great for hypos and the bottle is better than most glucose that I have tried. Experimented with other brand/types but eventually came back to TRUEplus. Also, love the auto-ship option. works very well to handle low blood glucose reading...easy to carry around and effective. Great treatment for low blood sugars (hypoglycemia). I prefer the liquid glucose over tablets-gets into the bloodstream quicker. After searching the internet, I found ADW has the best price!